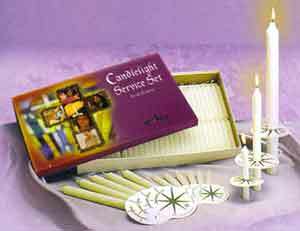 Each set has the needed candles and accessories for a Candlelight Service. All worshipers can participate. Included are Pastor's Candle, 6 Usher's candles and 425 Congregation candles and drip protectors.